JUSTIN Vineyards & Winery Teams Up with Celebrity Chef Todd English at Bellagio Resort’s Epicurean Epicenter . Bellagio’s Tuscany Kitchen hosts exclusive wine dinner Saturday, March 9 at 6:30 p.m.
It’s time again for one of Las Vegas’s Premier events. Bellagio Resort’s Epicurean Epicenter series unites the modern Mediterranean cuisine of renowned celebrity chef Todd English of Bellagio’s Olives with the classic wines of JUSTIN Vineyards & Winery Saturday, March 9 at 6:30 p.m. in Tuscany Kitchen. Chef English will prepare an exquisite four-course dinner, explaining every aspect of menu creation to guests from ingredient selection to technique and flavor profile. Each course will be served with fine wines from JUSTIN Vineyards & Winery, paired by Master Sommelier Joseph Spellman and Bellagio Director of Wine and Master Sommelier Jason Smith. Tickets are priced at $175 per person, all-inclusive, and available for purchase online at Bellagio's Epicurean Epicenter webpage or by calling Bellagio Concierge at 866-406-7117. Guests will have a culinary experience of a life time with a palate pleasing menu featuring Poached Merus Crab Leg accompanied by micro insalata, béarnaise sauce and candied lemons and paired with the delicate notes of Landmark Overlook Chardonnay. The second course, cleverly titled “Duck Duck Goose,” features the tasty meat in various forms including seared duck breast with leg confit and foie gras tortellini. JUSTIN Winery’s Justification, a balanced and complex red wine featuring aromas of both fruit and spice, will complement this decadent course. The culinary experience continues on with Osso Buco and parmesan polenta, garlicky spinach walnut gremolata paired with JUSTIN’s Isosceles and Isosceles Reserve red wine blends. The sweet finale presents a Peanut Butter Falling Cake with milk chocolate ice cream and caramel sauce paired with JUSTIN’s Obtuse, a port-style dessert wine made from Cabernet Sauvignon. The name Hearst is an historical name in United States History. 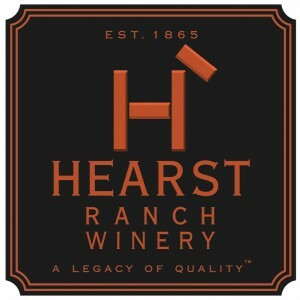 Today its history continues with Hearst Ranch Winery. Before we took a look at the wines, we had to look at the linage of the land and the vines itself. It all started with Sebastian’s General Store Built in 1852 at the peak of the whaling industry, the Sebastian Brothers provided goods and services to whalers, fishermen, miners and neighboring ranches. The San Simeon Bay was a significant shipping point for barrels of whale oil, cheese, butter and other commodities on the Central Coast. Nearby Old San Simeon Village was flourishing with two hotels, saloons, a blacksmith, a livery stable, a butcher, schools, a depot for a stage travel to Cambria and a telegraph line to San Luis Obispo. In 1878, the Bay View Hotel was built; a first-class hotel and home to some famous guests like Thomas A. Edison, Winston Churchill and Calvin Coolidge. Unfortunately By 1910, most of the village had faded away, but Sebastian's General Store survived. The Sebastian family bought the building in 1914 and operated the store for almost 100 years. Old San Simeon Village is very different from the palatial opulence of Hearst Castle. Long before William Randolph Hearst began off-loading building material for his famous castle, native Amercians made the area of San Simeon their home. Later the area was part of a Mexican land grant called the Piedra Blanca Rancho. Even a small community of Chinese seaweed harvesters also lived on the bay in the 1860s. Additionally, Portuguese whalers from the Azores operated a whaling station in the area as well. Russian fur traders and Aleut hunters came to the area for goods and services as well. When the shore-whaling industry came to an end, Japanese settlers started a business drying abalone. The 12 acres of San Simeon Point were excluded when William's father, George Hearst, purchased the Piedra Blanca Rancho. They eventually purchased it in 1894 by George's widow, Phoebe Apperson Hearst. Today, little remains of the many people from so many cultures who lived and worked in the area. In the Modern era, the little general store serves as a café to tourists, campers and sport fisherman. Just like in the centuries before, Sebastian is a gathering place, but now to sample the wines of Hearst Ranch Winery.Visitors savor Sauvignon Blanc, Chardonnay, Rosé, Tempranillo, Cabernet Franc, Malbec, Merlot, Cabernet Sauvignon, Petite Sirah, Late Harvest Zinfandel and award winning Red Cuvée, White Cuvée and Barrel Select Cuvée Blends. The history of this area is aspiring when you think of the many different cultures that have influenced the terroir of the area. The men behind these tasty wines have an equally interesting story. The hand-crafted wines of Hearst Ranch Winery are the collaboration of sound agricultural practices, expert winemaking and the support of the community by Steve Hearst and Jim Saunders. The wines from California’s Central Coast vineyards are among the finest in the world. The “Legacy of Quality™” – is what the Hearst tradition is all about. It was now time to put a few of the wines to the CUISINEIST tasting panel for a closer look. In the glass this 100% Zinfandel from Paso Robles showed its age with a slight age ring. Color ranged from Ruby to Rose near the lip of the glass and medium bodied. On the nose, big aromas of plum and stewed red fruit explode out of the glass with earth and smoke on the end. On the palate, a parade of cherry, plumb, raspberry and other red fruit please your taste buds from beginning to end with a long sweet finish with medium tannins. The 2007 Enchantment “Late Harvest “ Zinfandel handles the 18% Alcohol well and is a treat for your nose and palate any time of year. Enjoy now or lay it down for 3-5 years more. In a word, Lovely. The 2009 Three Sisters Cuvee is a nice blend of 50% Syrah, 35% Grenache and 15% Mourvèdre. In the glass this GSM showed Purple to Ruby in color and medium bodied. On the nose aromas of strawberry, raspberry, cherry, red floral notes and spice are prominent then give way to earth and smoke. On the palate bright elegant flavors of cherry, strawberry, raspberry, and spice show with a long finish and medium tannins. The “Three Sisters Cuvee” was a nice surprise and a beautiful blend of three classic varietals. This wine is a work of art and well worth savoring over a nice meal or drink by itself. Either way, you will enjoy this wine. Drink now. Critically acclaimed, award-winning Chef Angelo Sosa who recently opened his first Poppy Den restaurant in Tivoli Village has been giving Las Vegas residents a new exciting culinary option to please their palates . His Asian gastropub is inspired by hand-picked, high quality ingredients and has now added a new dimension with Mixology Kits. Chef Angelo Sosa now brings to Las Vegas individualized mixology kits for patrons to experiment, have fun and personalize their cocktails. The mixology kits contain four cocktail droppers that allow guests to customize their cocktail with lemon, lime, bitters and simple syrup flavors. “The mixology kits are a reflection of Poppy Den’s environment – a way for guests to broaden their horizons and experience new tastes and senses,” said Chef Angelo Sosa. “The kits are a wonderful addition to our wide selection of signature cocktails and a great interactive way to get creative during your night out.”. 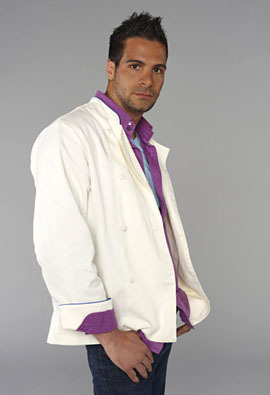 Once again, this globetrotting exceptional Chef brings innovative ideas and flavors to please his guests. Poppy Den is located in the heart of Tivoli Village at 440 Rampart Blvd, Suite 180. Poppy Den is open Sunday – Thursday from 11:30 a.m. – 10:30 p.m. and Friday – Saturday from 11:30 a.m. – 11 p.m. The Den is open Wednesday – Thursday from 5 p.m. – midnight and Friday – Saturday from 5 p.m. – 2 a.m. For more information, please visit www.vegaspoppyden.com. World of Pinot Noir in Shell Beach is one of the most focused wine events that we attend anywhere in the country. This year the 13th World of Pinot Noir is March 1st and 2nd. As we have said for years the World of Pinot Noir in Shell Beach is one of the most focused wine events that we attend anywhere in the country. This year the 13th World of Pinot Noir is March 1st and 2nd. The 2013 event includes two unique Tastings with more than 160 winery participants at the Cliffs Resort, and Dolphin Bay Resort in Shell Beach, Ca. The Friday Focus tasting features barrel selections, small lot, and boutique wines bottled at 500 cases or less from 80 winery participants. The Saturday Grand Tasting expands to include 120 winery participants, and now includes a tent on the Dolphin Bay Resort property. WOPN features a stellar lineup of seminars, panelists, winemaker dinners, and tasting sessions showcasing Pinot Noir. More than 1,700 guests attend the event that is held annually during the first weekend in March. The outcome from the first WOPN Alcohol & Balance Seminar in 2011 generated a shot heard 'round the wine world. The reverberation has not faded, and business went unfinished so World of Pinot Noir revisits the topic at the Alcohol & Balance Redux Seminar at the Cliffs Resort Ballroom on Friday, March 1, 2013 with Karen MacNeil as the moderator. The panel of esteemed winemakers at the seminar consists of Jim Clendenen (Au Bon Climat Winery), Adam Lee (Siduri Wines), Wells Guthrie (Copain Wines), Joe Davis (Arcadian Winery), and Greg Brewer (Melville Vineyards). How each relates their style to the idea of balance will be essential to the discussion. Vintage and understanding the effects of a cool weather pattern during the 2011 growing season along the California Coast will also play a role in the discussion. The Alcohol & Balance Seminar at the World of Pinot Noir is sold together in a package with the Minerality Seminar also moderated by Karen MacNeil. Hear the panelists at the Minerality seminar Fintan Du Fresne (Chamisal Vineyards), Mike Waller (Calera Wine Co.) James Cahill (Soter Vineyards), and Jason Jardine (Flowers Winery) debate the science and art of the origins of this gravelly earthly note in wine. Do not miss this event! Get your tickets now as they sell out very quickly. Tickets are available at www.wopn.com or by calling 805-489-1758. Cheers and see you at the Dolphin Bay . We have traveled the back roads of California’s fertile Central Coast for years. In April Imagine yourself amongst the oak-studded hills in the Adelaida District, west of Paso Robles and you tour and dine at a historic ranch that dates back to the 1880s. It’s not a dream, it can be a reality . 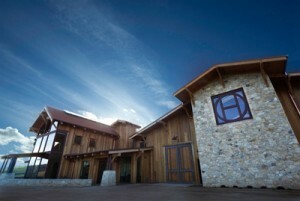 Renowned Halter Ranch Vineyard is home to much more than award-winning wines. There's the famous Victorian farm house and one of the largest Coast Live Oak trees stands in the middle of the vineyard. This beautiful ranch is the exclusive location for this year’s Farm to Fork dinner, wine pairing and tour! In April , join the Halter Ranch team as you tour one of the first SIP Certified sustainable vineyards. Let them be your ‘spirit guide’ through the beautiful 2000-acre ranch and show you how they continue to be leaders in the industry for their cutting-edge practices that give back to the land. As you make your way to the long family-style table, Winemaker Kevin Sass will take you through each wine he has paired with the delicious cuisine of Chef Tom Fundaro from Villa Creek Restaurant in downtown Paso Robles. Rub elbows with Chef Tom’s top local farmers and food purveyors who have grown produce especially for this dinner to provide you with an inspiring multi-course meal you are sure to never forget. This event is very intimate and seating is limited to allow for a very personal spiritual experience. Mark April 19, 2013 6:00 p.m. - 9:00 p.m. on your calendar. Tickets: $175 per person and you can Purchase tickets online or call 805.466.2288. 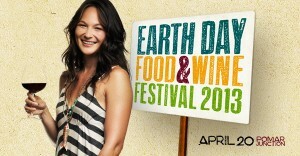 At the same time book your tickets to the Main Event where you can kick up your boots for the 7th annual Earth Day Food & Wine Festival. A fun filled weekend celebrating the very best of the Central Coast. The feature event is Saturday afternoon at scenic Pomar Junction Vineyard and Winery where over 200 growers, vintners, and chefs come together to serve out-of-this-world pairings of award-winning wines with one-of-a-kind dishes made with locally-sourced fruits, vegetables, meats, cheeses, olive oils, chocolates, and more. You won’t go hungry! This celebration of the Earth is also about live music, this year featured is Guy Budd and the Gypsy Souls, dancing and more. This bunch of farmers dedicated to sustainability and nurturing the earth sure know how to throw one heck of a party, trust us on this one. The Earth Day Food & Wine Festival is a benefit event that supports farmworker education and sustainable ag research conducted by the Central Coast Vineyard Team (CCVT), a 501c(3) non-profit organization. The Central Coast Vineyard Team is a collaboration of growers, wineries, consultants, researchers, and natural resource professionals dedicated to promoting sustainable winegrowing on California’s Central Coast. Pack your boots and join us again this year!